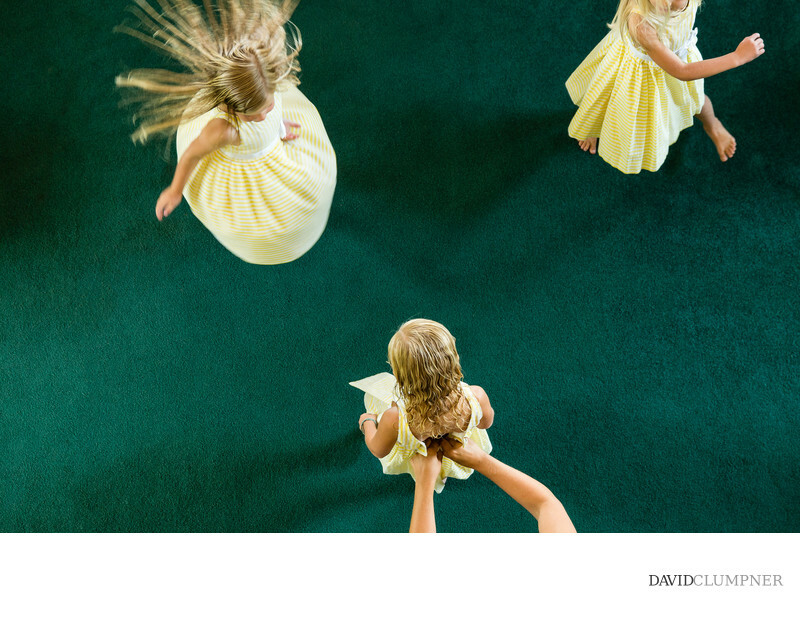 This spinning flower girls photo, taken from above, epitomizes how I try to capture the ordinary from interesting angles to make it extraordinary. Andie and Andre's wedding was a destination wedding of sorts, being at Andie's parents' private estate in Florence, Montana. Andie and Andre reside in San Francisco, but Andre's family is from Sweden, so people came from all over to attend. The moments and emotion at this wedding were superb and they resulted in some of my favorite photos of the year, including this one, which won a silver award at the Wedding and Portrait Photographers International (WPPI) conference in Las Vegas.